Come choose your EV, we deliver it to your door. 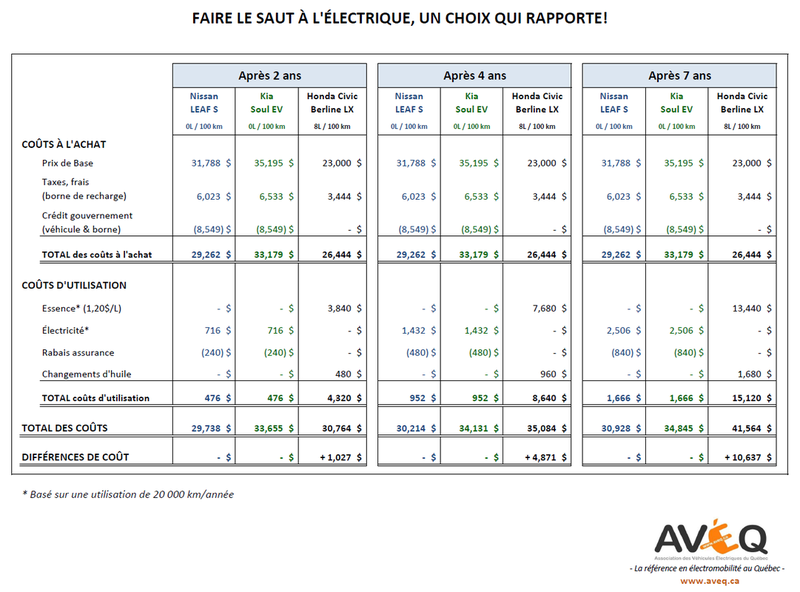 EVs : we Sell, Maintain and Drive them ! JNAuto.com, proud to use bio cleaning products ! Tesla courtesy terminal 19 kw free on opening hours and 7.2 kw 24/24 7 days. Consulting service and wholesale price for electrician and garage sale EVs, click here. ● Original, 1 seul propriétaire! A 100% electric vehicle has the minimum maintenance because it contains much less components than a gasoline car. For trips over a greater distance, it requires more management because it must be connected during the same journey to continue driving. You need to know the location of the fast charging stations and take the time it takes to charge. Typically, it's 20 to 40 minutes on charger 400 volts depending on the energy to be put, the next step being the destination. A plug-in bybrid such as the Volt, the Clarity, the BMW i3 REX, contains more components than a gasoline vehicle. They have two components. Even if the gasoline portion is less used, it still requires maintenance: oil change 1 time per year, burn the fuel a bit to prevent it from getting old, starting the engine in winter to bring it up to temperature so that he is ready to work when his contribution is required. Despite the many components, Volts owners do not complain about high or unacceptable maintenance costs. The new generation of Volt (2016-2018) offers greater autonomy with a larger battery but there are more small problems that appear than the 2012-2015. There has been a problem with the head gasket in the early years but it is now resolved. Depending on your current roads, if you have a single car, a Volt, Clarity (which has the same autonomy and some prefer the Honda banner), you would meet all your needs at a cost of slightly more than 100 % electric but with less management. It is often a step that leads us to a 100% electric. Some complain that the Volt has a charger of only 3 KW whereas they would like a 6 KW but most of the time the refills are done on a terminal 240 V at the house and the time to make the "full" is adequate even with a 3 KW. The vast majority of 100% electric now have a 6.6 KW charger, some even 7.2 KW (Chevrolet Bolt). So the possibility of potential autonomy in an active day increases much more quickly in waiting times when plugged. You must know these needs in km and know the alternatives available at home to make an informed choice and the most profitable possible. It is possible to JN to rent a car for travel over a greater distance depending on the frequency. More and more people are interested to buy an Electric Vehicle (EV) and will be moving soon. What and where to buy? Why consider JNAuto first. Sale of used VACs since 1982 and sale of EVs since 2014. Accompaniment makes all the difference. Review of customer needs summer and winter, driving mode, electric circuit card. Return itinerary. Flo and ELMEC terminals. If desired, add accessories such as external battery heater or auxiliary heater. Delivery anywhere in Quebec or carpooling if required. They know them, lead them, repair them. Currently the only ones to include the 3G TCUs (NissanConnect) on the Nissan Leafs without charge. Latest news: Offer to change the 3G for Leafs from other sources for $ 600 (discount for customers who purchased before the change is required). The implication is in constant development: Network of terminals of courtesy, repair / replacement of TCM (electric heating) at a reduced price, personalization (mags on "S +"). Customer satisfaction is a high priority. Ensure the customer in its use. If necessary, direct the customer to an Electric / Petrol when the need is too limited. Everything under one roof. Peace of mind. Power purchase locally produced, renewable and affordable. Around ten times cheaper than gasoline. Cost $ 1.80/100 km in electricity (Hydro Quebec). Low maintenance. Never oil change. Electric motor power much more efficiently. The maximum force is achieved almost instant. Leave the house always full. Electric Vehicles available in Quebec ; Ford Focus EV, Smart EV, Nissan Leaf, Mitsubishi Imiev, Tesla S, Chevrolet Spark. Same advantages than electric vehicles. But the advantage is more autonomy and disadvantage is that you pay gasoline when you use it. Limited to the battery life of the vehicle. Higher cost of vehicle although the difference decreases with time and continue to decline with sales volume like any new technology enters the market. JN Auto is proud to offer a wide choice of quality used hybrid and electric vehicles, and an irreproachable after sale service. 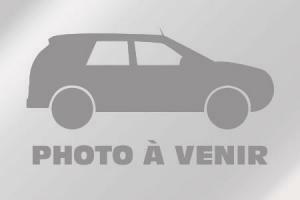 JN Auto: The reknown in sale and financing of used cars in Estrie between Sherbrooke, Victoriaville and Drummondville in Quebec! For the team of JN Auto, used cars is a passion!